A restructure at work prompted Jack to seek coaching, but he had felt lost in his career for a while. He had been looking constantly for other roles but without success. Having worked in the same industry for over 20 years, Jack didn’t have a good sense of what he could do or, more importantly, what he wanted to do. So the prospect of redundancy was causing him a lot of concern. “Lucy was able to help me look outside the work bubble I was living in and think more broadly. Once I was able to do this the picture became clearer,” says Jack. 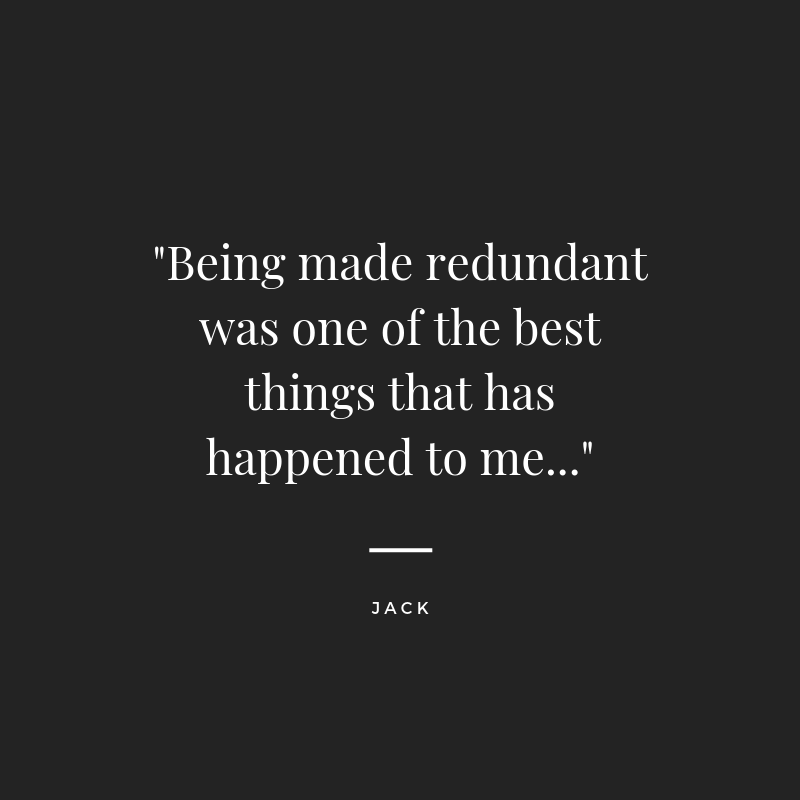 Through the coaching process, Jack gained a better understanding of his strengths, transferable skills, values and interests, so that by the time the restructure was confirmed and he was made redundant, Jack was able to be more considered about his next steps. Jack went on to retrain as a real estate agent, and since then he says his confidence and sense of wellbeing has soared. “Being made redundant was one of the best things that has happened to me because I was able to then look at a career that best suited my abilities without being inhibited by the fear of losing a job”.